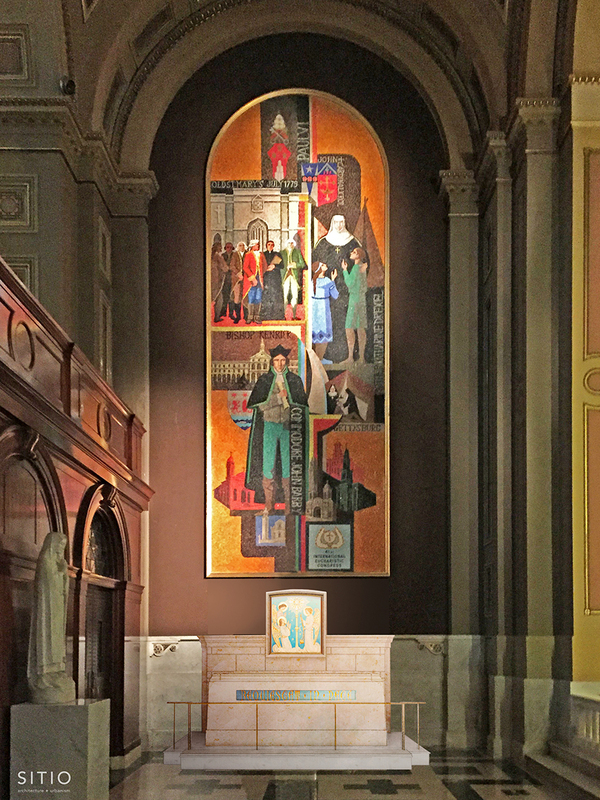 The Archdiocese of Philadelphia announced that the sacred remains of Saint Katharine Drexel will be transferred to the Cathedral Basilica of Saints Peter and Paul this summer. “SITIO is humbled to be entrusted with the design and oversight of the relocation of Saint Katharine’s tomb to the Cathedral Basilica, the shrine will be open to the public this September”, said Antonio Fiol-Silva. The celebration of the installation of the tomb will be on Sunday November 18, 2018 at the 11:00 Solemn Mass. “With the new opportunity to honor Saint Katharine at the Cathedral, even more people will be exposed to her extraordinary life and example.”, said Reverend Dennis Gill, Rector and Pastor of the Cathedral Basilica. Saint Katharine Drexel was canonized on October 1, 2000. She is the second American-born person ever to be canonized. Born into tremendous wealth as part of the Drexel family, she gave up her life of privilege to found the Sisters of the Blessed Sacrament in 1891. She dedicated her life to serve the needs of African Americans and Native Americans, and inspired so many women, who joined the Sisters of the Blessed Sacrament, to follow her example. Today, the Sisters continue to serve in elementary and secondary schools, as well as at Xavier University of Louisiana in New Orleans, the first Black Catholic university in the U.S.